I walked into a Bass Pro Shop. Have you ever been in one? The immediate feeling for men who are outdoorsman must be what it feels like for women when they first step into the Mall of America (or any large shopping venue for that matter). Whooooaaaa. This is AWWWESOOOOOME. Departments as far as the eye can see. Camping equipment, fishing paraphernalia, hunting goodies and much, much, MUCH more. It’s a paradise for the outdoorsman. Personally, I get that kind of jazzed at Home Depot or when I step foot into a stadium for a sporting event. Shouldn’t he ask me things like, “what are you fishing for?” or “where are you going to fish” or maybe, “have you ever fly-fished before?” Wouldn’t those be much better questions than what kind of rod are you looking for, how long do you need it to be or what weight? Now, I have a confession. I didn’t really go into a Bass Pro Shop to buy a fishing rod. I have been in a Bass Pro Shop and, having lived in Minnesota, I’ve seen the eyes of women as they entered the Mall of America. The point is that as I thought about fishing (my son is becoming an avid fly-fisherman) it struck me how similar the sport of fishing is to many elements in life, including my passion, social media. I may as well be the sales rep at Bass Pro Shop asking a newbie fly-fisherman what kind of fishing rod does he want? And, if I flip the burden of questions from the sales guy to the purchaser it looks like this: “So, you do social media, right?” “Well, I want you to make me a Facebook Page, set up a Twitter account and help me with my Google Plus business page.” If my reply back is simply, “sure, I can do that” and never ask the bigger, harder, more important questions I’ve just helped the customer almost assuredly fail miserably in their social media efforts. Do you know what happens next? The campaign fails. They get a lot of early likes on their Facebook Page (because I know how to get them “likes”). They start a Twitter following. They have a profile set up on LinkedIn. They’ve exhausted their meager budget and now what? They are on their own to manage something they know very little about strategically. They don’t have the reference they need to post the right type of content on each of these social networks. They don’t really understand how often they should post. Time is limited so they look at their Facebook page a couple of times a week. Twitter chirps at them periodically and they Retweet a few things they see but no one engages them and their follower base is steady or declining. LinkedIn and Google + are complete mysteries and they aren’t even sure why they are on those platforms. Some of their colleagues and friends are trying to connect with them but they haven’t spent any time engaging and posting on those platforms so they’ve lost opportunity to share their wisdom, humor, products, and services and be relational with those online friends. In essence, they are out on the river with the wrong kind of fishing pole at the wrong time of day in the wrong part of the river. They look good. Standing in the river with their new waders and their fly-fishing net dangling from their waist, a vest draped over their chest with all the latest fishing gear, a brand new pole with the best reel and tangle free line. But, they don’t catch anything. They get discouraged. Not one bite. They leave the river, take off all of their great new tools and, very likely, will never go again…unless their goal is to look good standing in the river. Social media tactics must be preceded by a sound social media strategy. 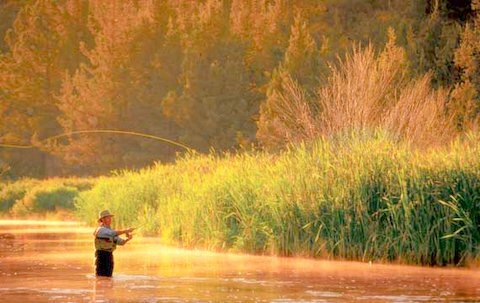 The strategy needs to fit the situation (no need planning for a lifetime of fly-fishing if you’ve never fished before—let’s outfit you with the starter package). But, it needs to be in place before you go off, half cocked ready to tackle the world and make your online presence felt. Are you engaged in social media as a small business, organization or individual? Do you know what you’re doing? Do you know what works and why? If not, don’t blame the “fishing pole” when you don’t catch fish. Social media is much more than having a presence on the various channels and posting pictures of puppies, babies or viral kitty videos. It’s not “rocket science” but it is SOME science. Take the time to ask the right questions about your social media strategy. If you ask the “why” questions before the “how” questions you have a lot better chance of finding yourself catching “fish” earlier and longer than those who simply jump into the “social media” river without a plan. Best Training on FACEBOOK ADS!! 60 Day Money Back Guarantee. Do you live up to the Hype? Committing Social Media Suicide or "All I Ever Need is Me"